123sync Advanced – SolutionMakers Inc.
Our most robust configuration option! If your business has a larger set of transactions that need to be pushed to QuickBooks®, the 123sync Advanced configuration is the best option for you. This configuration option includes everything in the Basic configuration, plus more. If your business has a larger set of transactions that need to be pushed to QuickBooks®, the 123sync Advanced configuration is the best option for you. This configuration option includes everything in the Basic configuration, plus more. (See chart below). 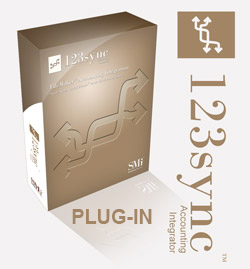 Please note that 123sync is mainly un-directional and is designed to PUSH data from FileMaker® to QuickBooks. Lists are PULLED from QuickBooks into 123sync for the integration manager to know what already exists in QuickBooks. The configuration covers setting up the data mapping to send your existing FileMaker data to QuickBooks. For instance, if you wish to push Customers and invoices to QuickBooks, all of the relative data fields need to already be in your FileMaker solution. A customization fee will be charged If the needed information doesn’t already exist in FileMaker or new tables must be added. Requires purchase of plug-in(s) or annual subscription. If you have multiple users posting to QuickBooks and/or wish to have the annual maintenance and support for the product and access for new QuickBooks versions, the annual subscription covers all users. 123sync is a Windows-only third party integration tool when posting to QuickBooks. Macintosh users can add transactions and records into the 123sync queue, but cannot post to QuickBooks. At least one computer running Windows, FileMaker and QuickBooks desktop is required for posting. 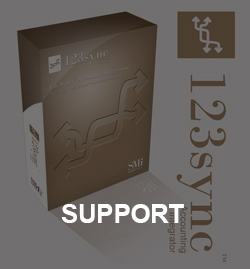 Licenses for FileMaker and QuickBooks are not included in the purchase of 123sync. Please contact us if you would like pricing for FileMaker an/or QuickBooks. *IMPORTANT: 123sync is verified compatible with FileMaker® Pro 12-15 for Windows (32-bit) and FileMaker Pro 14-16 (64-bit). The 32-bit version of the plug-in may work with earlier versions of QuickBooks®. Macintosh integrations require one instance of Windows and QuickBooks for Windows.